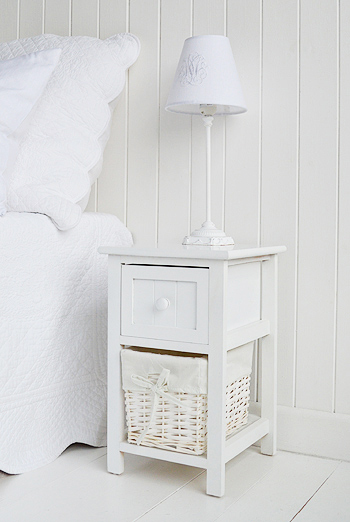 A small narrow bedside table with a lined basket drawer and a wooden drawer with knob and tongue and groove style frontage. 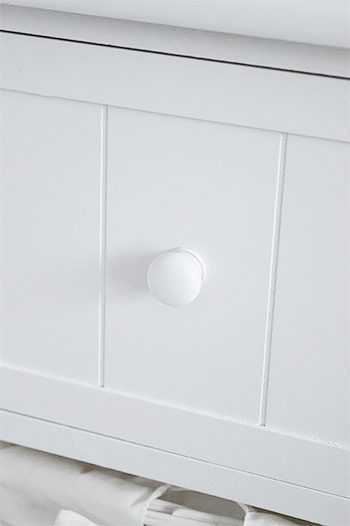 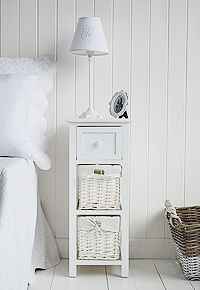 Ideal for small narrow spaces or childrens bedrooms. 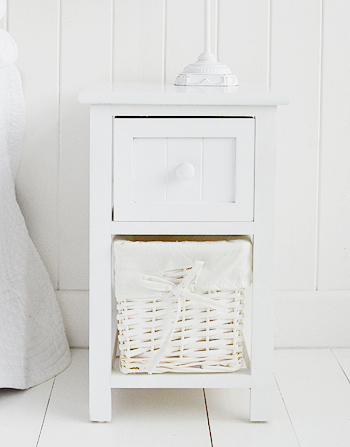 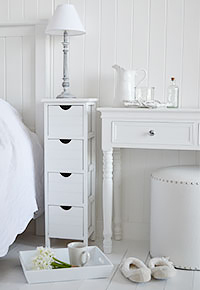 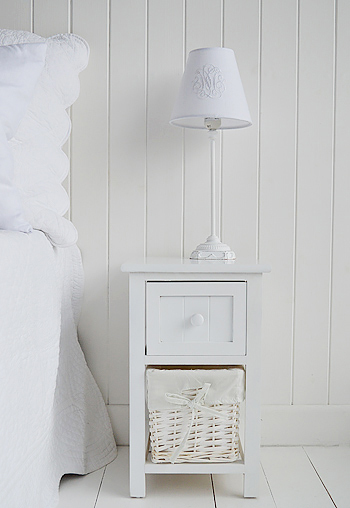 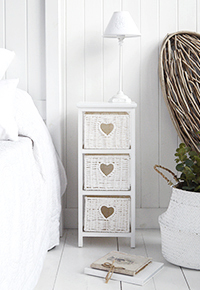 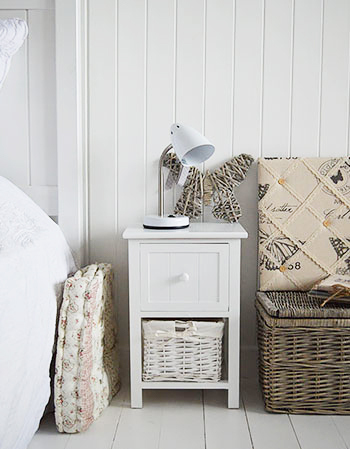 With a white satin painted finish, and the classic New England style, this makes a lovely little bedside table.